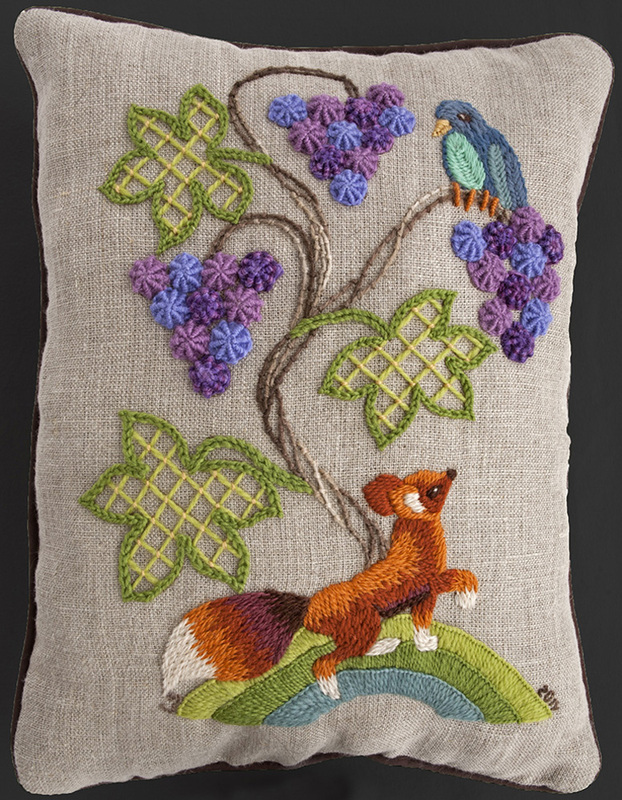 This Aesop fable is one of my favorites, so I was pleased to see it in needlework. This piece has so much texture, which made it really fun to stitch. I also finished it into the pillow myself, and learned how to add a piped edging in the process.